Want to be notified of new releases in nightmode/logitech-g29? 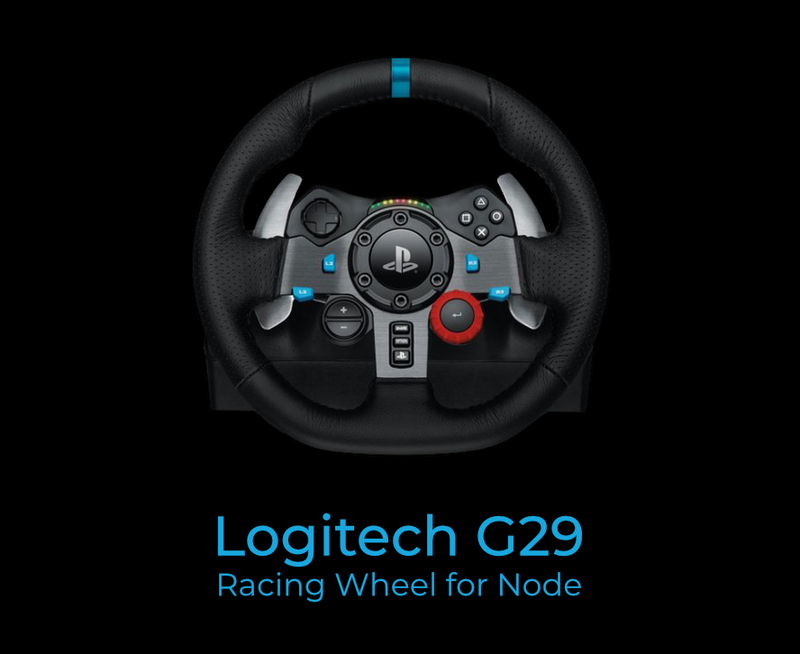 Bring your Logitech G29 Racing Wheel into the wonderful world of Node. Subscribe to wheel, pedal, and shifter events. Activate simple force feedback effects. Set wheel auto-centering and range. Node version 4.0.0 or greater. Make sure your wheel's platform mode switch is set to PS3. This library uses node-hid behind the scenes. If your OS and Node version are listed under platform support then you'll have the easiest install experience. If not, you may need to consult node-hid's compiling from source guide. Ubuntu users will most likely want to remove the sudo requirement of interfacing with the wheel. This can be easily accomplished by creating a file at /etc/udev/rules.d/99-hidraw-permissions.rules with the following code. After saving the file, reboot and then you can move on to more fun tasks. Let's have some fun and make our wheel LEDs light up when we press the gas pedal. Looking to contribute? Here are some ideas to get you started. Hook up your G29 wheel to something on the internet and wow the IoT community. Share this library with other Logitech loving folks.